Apart from the beautiful Cape Winelands, you can also experience what has made the Western Cape a preferred holiday destination for tourists from around the world: Table Mountain, unspoiled beaches, scenic drives, cosmopolitan shopping, fine dining, excellent golf courses and true South African hospitality. Friendly service and stunning views await guests at Oak Tree Lodge. You are most welcome to spend the day simply soaking up the sun on a lounger in the pool area or exploring the garden. 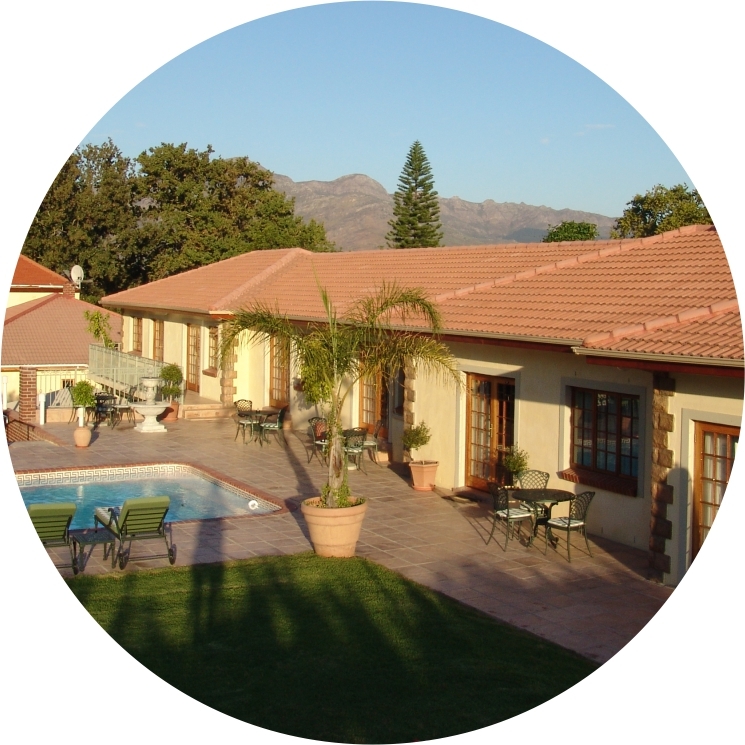 Our pool area overlooks these vineyards as well as Paarl Mountain. After a day of exploring the area, relax at the crystal clear swimming pool with magnificent views of the vineyards and Paarl Mountain.